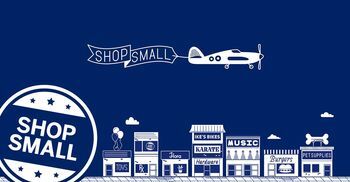 ‘Shop Small’ is one of the most popular American Express promotions. Running annually in the Autumn, it offers £5 cashback every time you spend £10 at a designated ‘small shop’. You are limited to one transaction per card per shop, but you can earn in as many different independent retailers as you like. Despite only being valid once, Amex is giving you six weeks – from 27th March to 12th May – to make your single qualifying transaction. 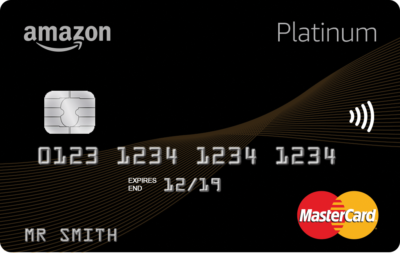 If you need any further proof of the tough environment out there for credit card rewards, Amazon has just announced big changes to its UK Platinum Mastercard. I tend to use the Amazon card as one of my default ‘best (almost-)cashback’ cards. After this change, the best mainstream card is probably the John Lewis / Waitrose one which has no annual fee and still offers 0.5% back, doubled to 1% at John Lewis and Waitrose. From 29th April, the cashback rate – paid in Amazon vouchers – on the Amazon Platinum Mastercard will drop from 0.5% to just 0.25%. The earning rate when spending at Amazon remains unchanged. You will get 1.5% back as a Prime member and 0.75% back otherwise. Details of the credit card, which do not reflect the upcoming changes, are on this page of the Amazon site. Thanks to Edward for this. Finally, Qatar Airways is offering a 10% discount deal on flights from the UK which are book TODAY (Thursday). You need to use this page of the Qatar Airways website. Only the base fare is discounted, so the saving will be a little lower than 10% on Business Class tickets and a lot lower on Economy Class tickets where taxes are a higher percentage of the total. In typical Qatar Airways fashion it is difficult to know exactly what is going on. The T&Cs say you need to fly by 30th June although elsewhere it says 10th December. It also says that only ‘selected destination’ are included, but does not list those destinations – I tried Bangkok but that seems to be excluded. However, if you are planning to book a Qatar Airways flight in the near future then today is a good day to do it. OT: Interested in using the £50/£75 off £250 spend at Hilton. People have mentioned that pre-paid rates (even if the stay is after the May closing date) will qualify, and that it is cumulative. Can anyone confirm that the above definitely works for the cashback? I’ve used this offer before, but the language was slightly different, so wanted to confirm before dropping some cash! It’s already been confirmed time and time again. Thanks.. The reason I asked is that as I said, the language was slightly different this time, and last time I saw this raised some people had assumed it would work as usual but hadn’t got the cash back yet. Although for those saying they haven’t received it so far I’m not yet clear (a) if the hotel they booked at was on the list and (b) how long since the charge fully posted to their Amex account given how slow the Amex Offers seem to be to post just how. If you spend £2k more you’ll get the standard 1-year voucher. If you upgrade to BAPP (and feel free to downgrade again soon afterwards for a pro-rata fee refund) you will immediately get a 2-year voucher as you are over £10000. Are you sure about that? I think I’ve read somewhere (here or Flyertalk) that if you’ve already spent £10k then you might get the 1 year voucher if you upgrade. If you’ve spent £9900, upgrade and then spend another £100 then you’re definitely OK. I did this recently, initially they gave me the one year voucher and I had to call Amex to get the two year voucher – was an easy fix. You get the voucher because you are premium, so you get the premium voucher. I also got a bonus 6k points for upgrading. Do you need a 24 month voucher, rather than a 12 month voucher? Basically you would be spending £195 for the longer voucher and maybe 6k avois – that might suit you better if you don’t have the Avios available to book something good in the next 12 months, also there might not be the availability within 12 months if you want a popular route. And maybe also get a 6k bonus according to some previous comments, but don’t count on it. First time when I upgraded by telephone I received the 6k bonus points. In other years when I upgraded online, I did not get any bonus points. Not sure whether calling to upgrade makes a difference? You don’t get referral points when you’re going between BAPP and blue on the same account. For the Tesco SIM card deal is it definitely OK to get 2 separate SIM cards on the same clubcard number/account? Waiting for the points from the 1st SIM I got, have another SIM waiting to be activated, just wondering whether it’s safe to go for it. Yes, several people have now reported 4k for 2x sim on 1x c.f. account. Reports also suggest points are crediting 9 days after activation. Great, thanks. 9 days is up for me tomorrow I think, so haven’t been expecting the first lot just yet. Just tried to order a sim card and nothing happens! You can buy in store but costs 99p. It’s free if you buy a top up voucher at the same time. OT I’ve booked a standard redemption for the Ritz Carlton NY. Is it possible to pay for executive lounge access? Apparently they serve caviar on the Saturday so wouldn’t mind paying for just the one day. Wouldn’t it be cheaper just to buy the caviar yourself? I can’t imagine that a hotel would be losing money on serving caviar. I can see how the hotel would lose at the margin, which is what is relevant here. They provide the caviar with the experience that say 20% of residents with executive lounge access will eat an average of say 30g. And if the increase in room level to get lounge access is the same all week, they might even be effectively spreading the cost over the whole week.